We thank you Jesus for every aspect of Godly inheritance that You put within our land. We thank you for Kingdom foundations within our government, justice systems and many aspects of our society. We declare Your purpose over this nation to display Your Kingdom and Your Kingship. This is a day when You are connecting the past with the future. 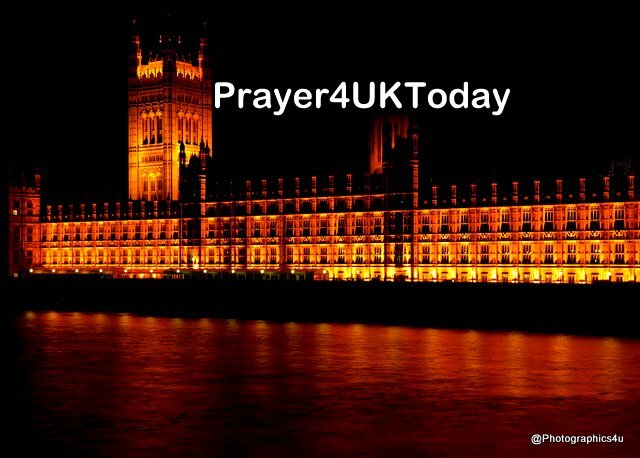 Now, we continue to declare the Lordship and Sovereign will of God over every aspect of the Brexit Bill, over the future relationship with the European Union, over Trade Policy, the Customs Union, the Irish Border, and the role of the European Court of Justice, that His plans for this nation, in all their fullness will be established..
We speak strength, help, wisdom and authority to Theresa May, that the fullness of the leadership You have put within her will be released. We decree Heavens design and schedule over every discussion, that every log-jam, every deadlock and every delay caused by man or the enemy will be released, and we speak a convergence and completion that the outworking of every decision made will align and connect the United Kingdom according to God’s perfect design and destiny. He came to know the peace of God in 2009 and is now an Army Scripture Reader. Don’t repay evil for evil; that is a hard lesson. I have seen some extraordinary examples of this on the battlefield where colleagues have been killed or injured yet the soldiers hold the line. Or the wife of one of the pilots in the 9/11 attacks who publicly forgave the terrorist who killed so many on that day. The gymnast who, after being abused by her doctor, was able to say in court that she forgave him so that he might come to know grace, to ‘find grace where none should be’. How can these people offer forgiveness? At least in the last two accounts it is because they know the peace that comes from knowing Jesus; they can seek peace and pursue it.